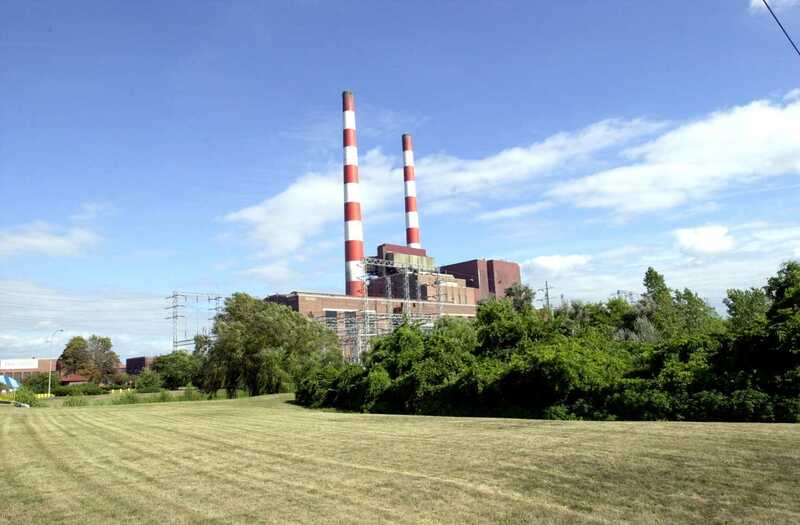 Trenton Channel Power Plant. Photo via DTE Energy. DTE Energy is Michigan’s largest electric utility. With some exceptions, DTE has a monopoly on selling electric power to homes and businesses in southeast Michigan. Like other regulated monopolies in Michigan, its rates are set by the state Public Service Commission at levels designed to let the company earn a reasonable return for its investors. But generating and distributing electricity is not DTE’s only line of business. Last year nearly half of its operating revenue and more than 40 percent its profits came from other divisions, according to the firm’s financial filings. The largest earnings from its other divisions come from a gas pipeline and storage business that benefits from increased reliance on natural gas by electric utilities and their customers. In December 2016, the Michigan Legislature rewrote large parts of the state’s law regulating electric utilities. The changes included elements of an Obama administration rule that has since been rescinded that would have ended the use of coal to produce electricity in the U.S. The new state law also increased a mandate that utilities get some of their electricity from renewable sources, sending it from 10 percent to 15 percent. These changes mean, among other things, that Michigan electric utilities will remain big consumers of natural gas for decades to come. That’s because when coal-fired generation plants are shuttered, most of the lost capacity is replaced with plants burning natural gas. And in Michigan, adding renewable energy mostly means using wind turbines, which must be backed up with natural gas during the 64 percent of the time the wind is not blowing enough to generate power. The non-utility segments of DTE Energy — including its gas pipeline and storage units — are separate operations and are not regulated by the Michigan Public Service Commission. The finances of the company’s utility and nonutility businesses are separate, and the profits and losses incurred by the nonutility holdings have no bearing on PSC regulation and rate-setting decisions. The rates charged to DTE’s Michigan utility ratepayers are not affected by what happens in those other DTE divisions. Those other holdings – gas storage and pipelines, power and industrial projects, and energy trading – contributed a combined $485 million to DTE’s profits in 2017. The gas storage and pipelines segment, which made $275 million of DTE’s net profits, was the company’s second-most profitable segment last year. It was second to DTE’s (regulated) electric utility segment, which had earnings of $606 million. Across all segments – regulated and unregulated – DTE earned $1.1 billion in net profits in 2017. The gas storage and pipelines segment includes holdings in three natural gas pipelines, with another one being built. It also includes four systems that help transport natural gas from where it is produced to a pipeline, pus two natural gas storage facilities. These holdings are spread throughout the eastern half of the United States and are subject to federal environmental and financial regulations. DTE expects the segment to make between $2.8 to $3.4 billion in capital investments between 2018 and 2022. Among other services, the company’s power and industrial projects segment provides energy generation capacities to customers in nine states, including Michigan. The segment plans to make between $800 million and $1.2 billion in capital investments between 2018 and 2022. In addition to the assets and energy production contracts it has throughout the United States, DTE’s nonutility segments do business in Michigan, which at times affects the firm’s electricity and gas utilities. Any transaction between DTE’s regulated electricity and gas businesses and its nonregulated holdings, such as its gas storage and pipelines segment, is reviewed by the public service commission. “DTE Electric makes money by investing in the resources necessary to generate and deliver energy to its customers and does not have a financial incentive, outside of meeting legislative mandates, to invest in one type of generation or another,” DTE spokesman Pete Ternes said in an email. In 2016, 36 percent of Michigan’s electricity was produced with coal, 26 percent with natural gas, 28 percent with nuclear, 8 percent from renewable sources and 2 percent from other sources, according the U.S. Energy Information Administration.